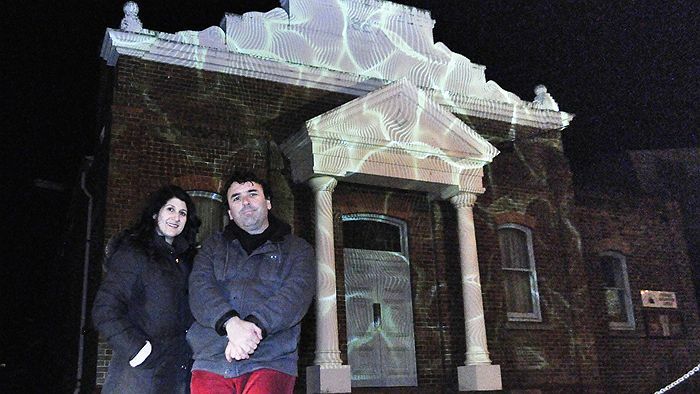 With markets, music, window shop performances and projection art, the Latrobe Valley Winter Night Festival is packed with entertainment, but it's only for two nights. In its inaugural year in 2013 the Winter Night Festival was just a night market in Morwell and Traralgon, but now it's being used as a platform to showcase broader local talent. Co-director of Reactivate Latrobe Valley who is behind the festival, Rosalea Monacella, says it highlights the strong community in the area. "It celebrates the community and intends to bring it together and bring light and festivity to the winter months," she said. Artist Hartmut Veit's work is being displayed in a pop up gallery, exploring the relationship and politics between people, place and coal. 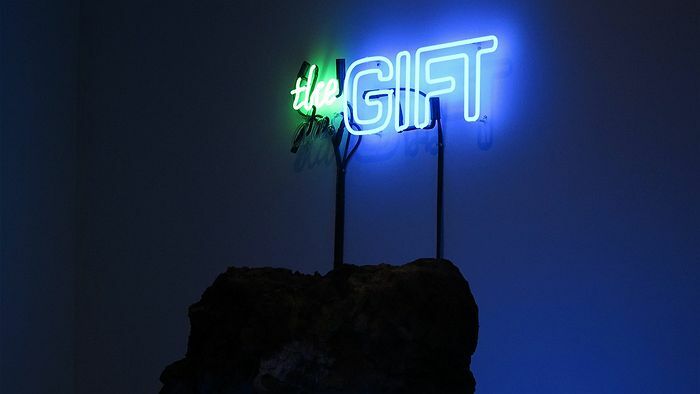 "One of the works is called The Gift and it's a neon work with coal. The neon word The interchanges with Das, and 'das gift' means 'poison' in German, so there are dual aspects of positive and negative," Hartmut said. 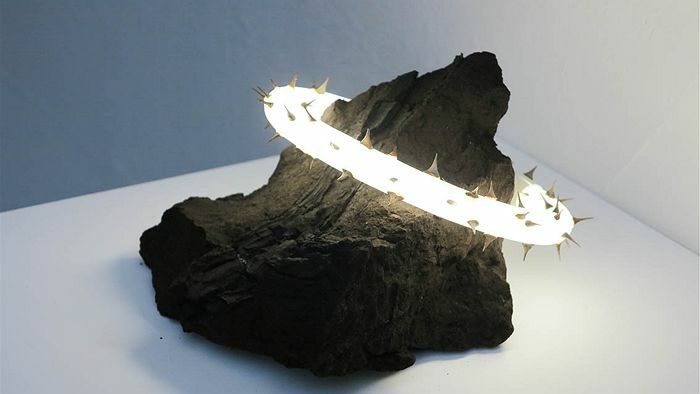 "I've been working with coal as a material for a year-and-a-half now - I like working with the agency of the material, and the darkness of the material works well against the neon light." Having his artworks on display for just one night is somewhat allegorical for Hartmut, and draws attention to the opportunities for local artists. "Everything in the art world is very ephemeral, and having one night to offer artists to show their work is great but you're there and then you disappear," he said. 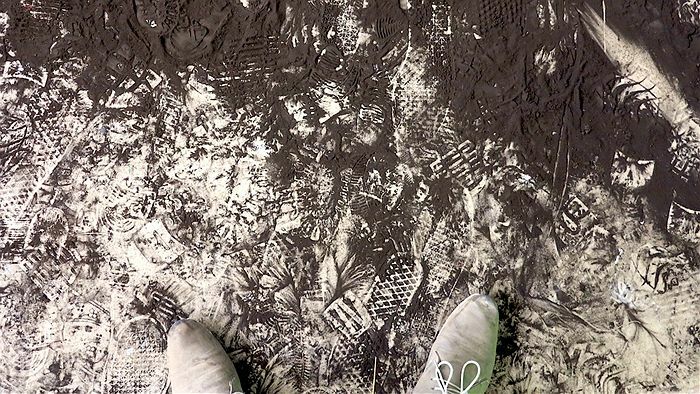 "It's difficult to have these opportunities on an ongoing basis for local emerging artists. It's also allegorical of our human existence as well, we feel self-important about things, but really how important is everything we do." 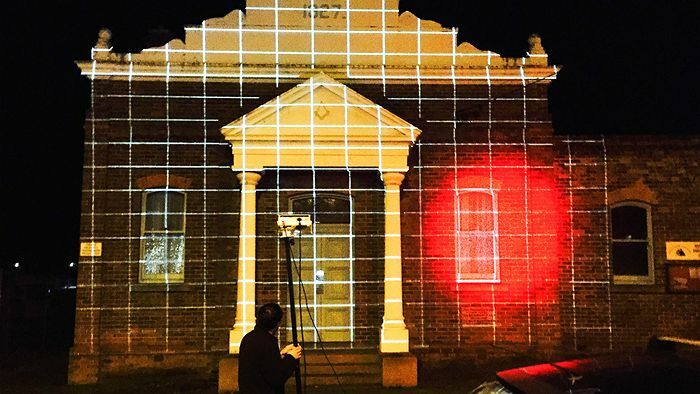 It's the second year the festival will incorporate projection art, and creative producer Dan Clancey mapped the Masonic Lodge on Hazelwood Road, Morwell. "It's a beautiful 1927 building and we visually mapped it using our computer and mapping different sections of the building to colour in and turn into fire, or water," he said. Inspired by the Sydney light festival Vivid, Dan and his creative partner Eloisa Tripodi wanted to create something interactive. "It's not static like a movie - you're watching a projected image but you can control it as an audience by blowing kisses or bubbles and they appear on the building," he said. "The scope we have on a blank canvas on a building is exciting from an artistic point of view. "As a local artist it's important we keep our stories alive and share them with people we live and work with - it's an important part of this festival."